In stock 2 pcs. Also available in our walk-in store. 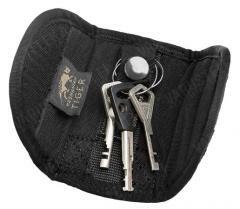 A silent keyholder is just that: a small pouch that keeps your keys securely and silently in order, locked away in a confined space. Just like we keep our employees when not in use. 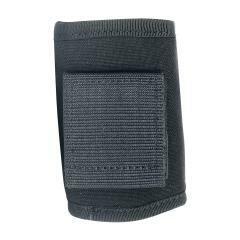 Attaches to your belt using a velcro belt loop. If your keyring isn't the size of a hairy fist, it will probably fit inside. 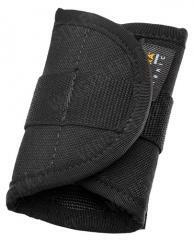 Material 700D Cordura. Tasmanian Tiger is the sister company of the German outdoors gear manufacturer Tatonka. Tasmanian Tiger has a reputation of making solid quality, mid-tier gear. Tasmanian Tiger gear is best suited for advanced users such as sport shooters or LE officers. In some cases Tasmanian Tiger gear can be recommended for military use, although the service life of Tasmanian Tiger gear will probably not be as long as that of similar products actually made for military use.